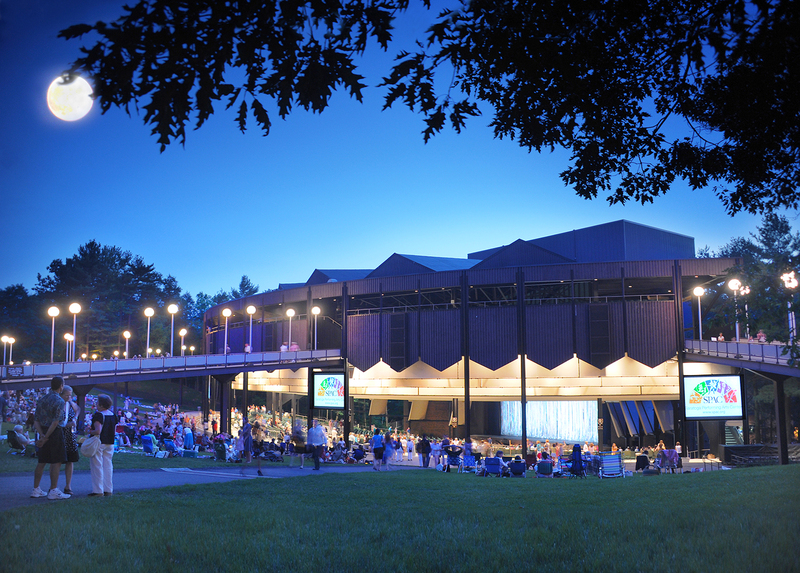 SPAC will get some $1.7 million from the state for renovations and marketing. Saratoga County received some $4.3 million in economic and community development funding through Round VIII of the Regional Economic Development Council initiative. The funding covers 10 projects. The money is part of $67 million awarded to 95 projects in the Capital Region. The state awarded a total of $763 million statewide. Key among the local funding was $1,695,000 awarded to Saratoga Performing Arts Center for two different projects. Some $195,000 is for a multi-media marketing campaign designed to increase cultural tourism. SPAC will increase cultural tourism to Saratoga Springs and the Capital District overall, by creating and executing an integrated marketing campaign (Television, Digital/Social media and print) to promote it as a world class arts and culture destination to travel decision makers in suburban communities. Some $1 million is to replace aging infrastructure and provide new facilities. These facilities will include classroom and gathering spaces that will be utilized in expanding educational programs, audience development and community engagement activities benefiting the diverse and underserved populations. 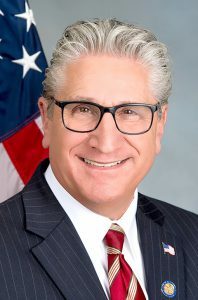 State Sen. Jim Tedisco represents the 49th District that includes part of Saratoga County. As we close each year and begin a new one, I often watch one of my favorite films, the movie classic “It’s a Wonderful Life.” The film’s main character, George Bailey, played by the great Jimmy Stewart, gets to see what the world would be like if he never lived. Thanks to guidance from his guardian angel, Clarence, Bailey comes to realize that if he never was born, his hometown of Bedford Falls would have been a much different and much darker place to live. New York state, and in particular, Upstate New York, is about to have its “George Bailey moment” to see what our world will look like in a state government that has a singular voice, party, and region controlling our representative democracy. And it isn’t going to be pretty. A Republican majority in the state Senate has been the last alternative voice for Upstate to act as a check on our chief executive and his band of merry progressives in the state Assembly. That changed on Election Day, when our 32-31 one-seat Republican majority became a 23-40 downstate-driven Democratic majority. Now all levels of government in our state, the governor, attorney general, comptroller, Assembly and now Senate are firmly controlled by one party and one voice from predominantly one region of the state. One party rule emanating from one region is bad for any level of representative democracy. The state Department Motor Vehicle office at Clifton Park Center is scheduled for renovation and expansion in 2019. 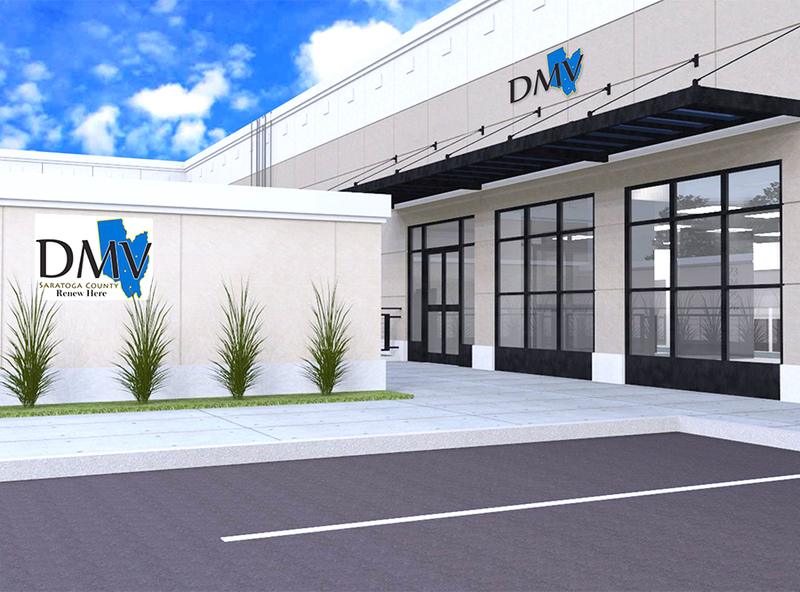 The County Board of Supervisors, at their October meeting, approved the extension of the lease of the Clifton Park Center DMV Office and funding for renovation of the space to better serve customers in Saratoga and the surrounding counties. The expansion and renovation project will grow the space by more than 1,300 square feet, making the total space after expansion 4,868 square fee, according to Saratoga County Clerk Craig A. Hayner. 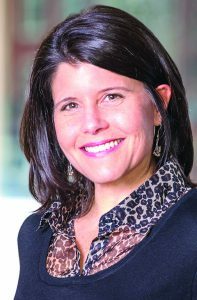 Theresa Agresta will be recognized at the Chamber’s 101st annual dinner on Jan. 24. Theresa Agresta, owner of Allegory Studios and CultureTalk in Saratoga Springs, will be the chair of the board of directors of the Saratoga County Chamber of Commerce in 2019. She will be recognized at the Chamber’s 101st annual dinner 6-9:30 p.m. Thursday, Jan. 24, at the Saratoga Springs City Center. The night will start off with registration and a cocktail hour from 6-6:45 p.m., and will be followed by the program from 7-7:30. Dinner, catered by Mazzone Hospitality will follow. Nearly 1,000 people are expected to attend the event, Chamber officials said. The Chamber will also honor Brian Straughter, president of Turf Hotels and a co-founder of Jakes Help from Heaven, who served as board chairman in 2018 He will continue to serve on the executive board as the immediate past chair. The board of directors will also present the Joseph Dalton Community Service Award to Tom Roohan of Roohan Realty, recognizing his more than four decades of volunteer service to the local community. 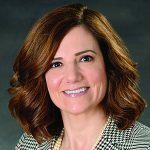 The Adirondack Trust Co. has hired Leslie D’Angelico as senior vice president, director of retail banking. D’Angelico joined Adirondack Trust in December and is responsible for the administration, growth and efficient operation of the bank’s retail network. Prior to joining Adirondack Trust, her 25-year career encompassed business development, small business production, investment consulting, retail leadership and profitability, and community involvement. 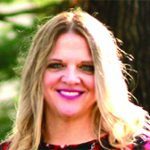 Active in her community, D’Angelico serves as an executive board member and finance chair for the Adirondack Regional Chamber of Commerce. Additionally, she serves on the Tri-County United Way Board and Queensbury Community Scholarship Association. She resides in the Queensbury area. Shelters of Saratoga (SOS) board of directors named Karen A. Gregory to lead the agency as the new executive director. A veteran of nonprofit leadership for the Columbia-Greene Domestic Violence Program, Gregory has held public and private sector roles throughout her career of more than 20 years. She has experience in nonprofit and public service agencies and corporations. As executive director of the Columbia-Greene Domestic Violence Program, Gregory led the agency through its growth with the acquisition of two agency-owned shelters and two transitional apartment buildings. In addition to her nonprofit experience, Gregory served as a law enforcement officer for five years. Most recently, she served in an operational leadership role for Target Corp. Marketplace, at 32 Front St. in Ballston Spa. Linnaea DiNallo’s foray into the restaurant business began in 2012 after she left her career as a full-time graphic designer. During the spring of that year, she opened the Iron Roost, a restaurant at 36 Front St. in Ballston Spa. On. 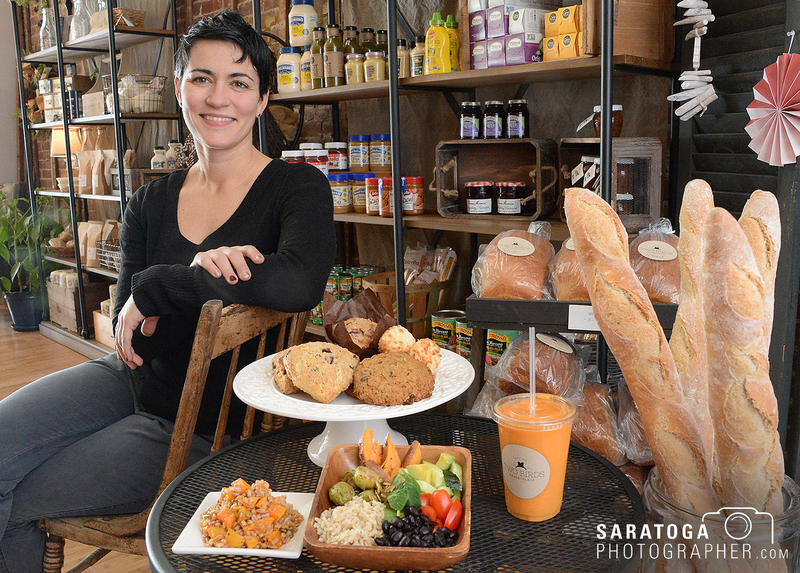 Dec. 4, the 39-year-old opened her second business, Two Birds Marketplace, at 32 Front St., next door to the Iron Roost. Two Birds is an extension of the Iron Roost and offers a line of baked goods, including fresh-baked breads, muffins, scones, and cookies. All bakery items are made from scratch, and gluten free and vegan options are available. Pies can be special ordered, and plans are underway to offer custom cakes. Custom bakery orders can be placed online through the store’s web site. In addition to offering baked goods, Two Birds features a rotating selection of prepared foods in its “grab and go” cooler. DiNallo said at any given time, the cooler is stocked with grain salads, green salads, parfaits, and overnight oats. Buddha bowls—deconstructed salads that contain vegetables, whole grains, plant proteins, and grains—are also a popular cooler item at Two Birds. In the near future, a variety of fresh wraps will be available, she said. the site of the new Spa Café. 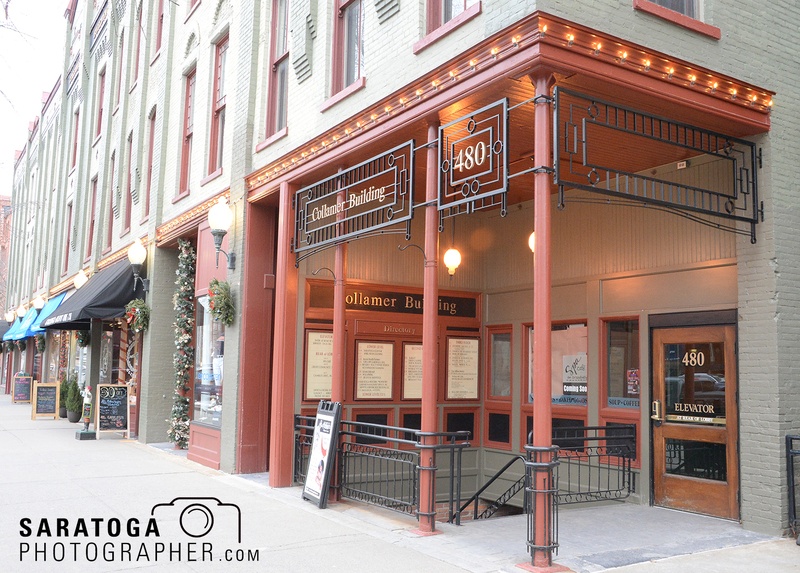 Longtime Saratoga Springs resident Darin Palmetto will be opening The Spa Café on Broadway at 480 Broadway in downtown Saratoga’ Springs. The business will be in the Collamer Building in a space that the Hungry Spot occupied for more than two decades. Palmetto has signed a five-year lease for the property. Tom Roohan, 2019 recipient of the Joseph Dalton Community Service Award. The Saratoga County Chamber of Commerce will present Tom Roohan, principal broker and president of Roohan Realty in Saratoga Springs with the 2019 Joseph Dalton Community Service Award. Roohan is just the second person to be presented the award. The first was presented at the Chamber’s 100th annual dinner last year to Steve “Sully” Sullivan, owner of the Olde Bryan Inn and Longfellows Inn & Conference Center. “We were looking to honor and recognize people who, for more than 25 years, have been forward deployed, meaning they’ve contributed to the community by volunteering their time, energy, and expertise not just their money,” said Brian Straughter, 2018 chairman of the board of directors. Roohan has volunteered for dozens of organizations over the past 40 years with his first volunteer experience coming as a life guard for the Saratoga YMCA, in 1971. His first leadership role as a volunteer was as a bingo captain for Saratoga Central High School, coordinating monthly tournaments to raise money for the school. Recently, he was honored by the American Red Cross as a Real Hero for donating 94 pints of blood and encouraging other family, friends, and coworkers to join him at local blood donation events. Roohan currently volunteers on the Saratoga Hospital board of directors, the NYRA Local Advisory Board and the Saratoga Springs Special Assessment District. He is the volunteer chair of both the Luther Forest Technology Campus and the Saratoga Springs City Center Authority. 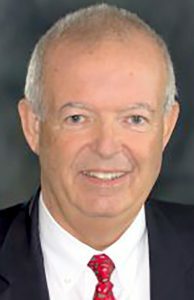 He is a past president of the Saratoga Central High School board of directors; a past president of the Saratoga Hospital Foundation; past president of the Friendly Sons of St. Patrick; a member of the Saratoga County Planning Board; a YMCA Trustee; and was named the 1998 Leadership Saratoga Distinguished Alumni award winner. 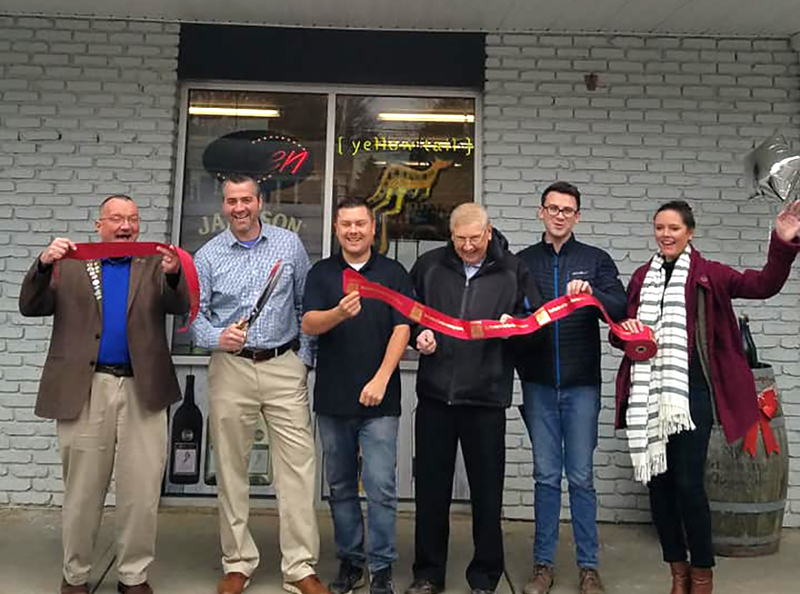 A ribbon cutting ceremony marked the change in ownership at Olde Saratoga Wine and Spirits at 158 Broad St. in Schuylerville. The owner of Clark’ Steakhouse and the Schuyler Yacht Basin has teamed up with a friend as the new owners of Olde Saratoga Wine and Spirits in Schuylerville. Jason Young said when the opportunity came to him to operate a third business, he knew it was something he wanted to be a part of. Young and his friend, Chip Lawrence, met four years ago and found success flipping houses together. He said the owner of Olde Saratoga Wine and Spirits was looking to sell the business at the same time that a Stewart’s was up for sale, so he and Lawrence decided to purchase and relocate Olde Saratoga. The store moved from Ferry Street to 158 Broad St. in the fall, just in time for the holidays, a move Young said was lucrative for the business. The Saratoga Economic Development Corp. (SEDC) presented to the Clifton Park IDA in December a $21.5 million project by a Minnesota-based healthcare developer to expand Ellis Medicine’s surgery service center and related professional medical practices at its facility in Clifton Park. According to SEDC, the investment will retain 36 jobs and add 35 new jobs. The company’s expansion in Saratoga County will also add over $2.15 million in wages to the market. At the start of 2018, SEDC and MJ Properties of Clifton Park announced the launch of the mixed-use commercial Synergy Park, aimed at boosting inventory for a range of commercial business investments. The expansion project will occur in that corporate commerce and light industrial park, located at Route 9 and Kinns Road. “Since announcing our five-year Advance Saratoga strategy to grow more jobs and wages, we have been touting the market demand of ready to use building inventory in key locations,” said SEDC President and CEO Dennis Brobston. “We are pleased to see proven market developers and our partners in key communities respond to keep Saratoga County at the forefront of economic opportunity.